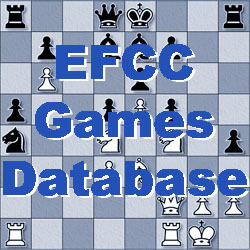 This document, written by Neil Limbert, is an excellent introduction to correspondence chess for new players; download it from here. The form below is provided for you to make an online payment for tournament entries or membership subscriptions. Please put your name and the event entered, or other reference (e.g. 'new membership' or 'membership renewal') in the text field. Copyright © 2016 English Federation for Correspondence Chess. All Rights Reserved.